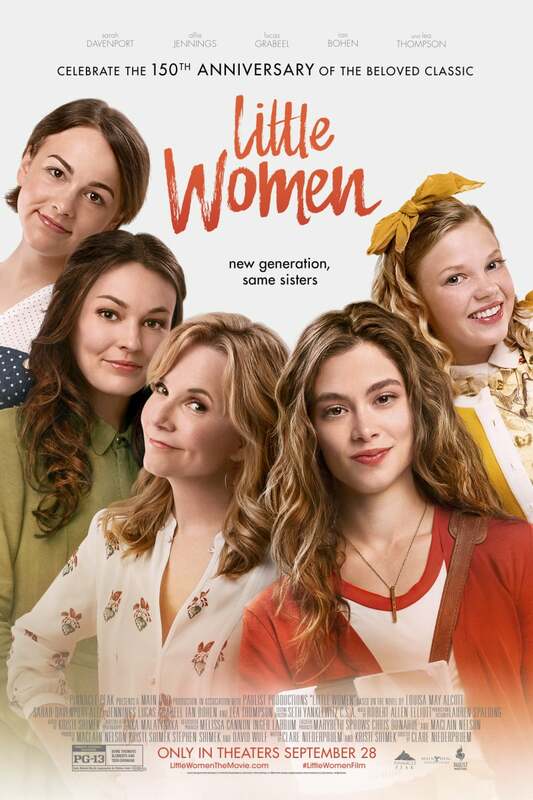 Little Women DVD release date was set for December 18, 2018 and available on Digital HD from Amazon Video and iTunes on December 18, 2018. Jo March is a struggling novelist who has been rejected time and time again. Her editor finally throws her a bone by suggesting that she write about her own life, and in the wake of a family tragedy that requires her presence at home, Jo agrees. What she doesn't realize is that her trip will inspire everything from tears to laughter as the four March sisters - Jo, Meg, Beth and Amy - come together again. They've all grown up from their days of playing in the attic together, and they all have stories to tell. Jo's novel is about to become very, very interesting.